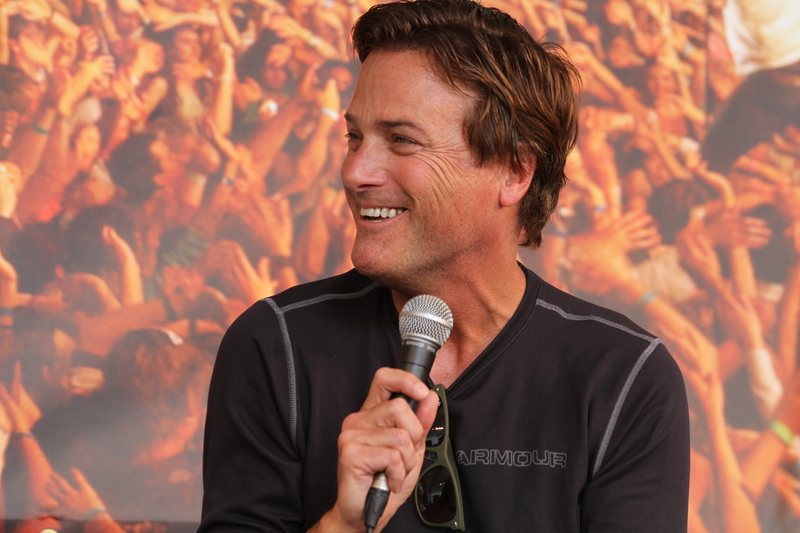 Michael W Smith is a man well known within the Christian music industry as a gifted and successful musician with a career that spans over 30 years and includes multiple grammy awards.With his youthful looks and extensive career life in the music industry, Michael W Smith has at times been referred to as the ‘George Clooney’ of the music industry, a comparison which he dismissed with a laugh when asked at Easterfest. Speaking with Jimmy from Vision Arena, Smith shared his views on everything from his music career to his life as a humble family man. “I’m grateful to have survived success,” he admits. When asked about his thoughts on remaining grounded and why it’s important to him to be humble, Smith was straight to the point. “I would rather humble myself than have God do it – that’s not fun,” he admitted with a smile, causing the audience to burst into laughter. The interview took a comical turn when it was revealed that Smith had had his toothbrush stolen from him the last time he visited Australia, and that a woman named Robyn would like to give it back to him. As the culprit of the prank came forward with his toothbrush, Smith laughed and gave her a hug. “I’m not sure I want it back though,” he chuckled. Smith is in Australia as the headline act for Easterfest 2012, a campaign which has taken 5 years to achieve. On Saturday night eager fans will have the chance to hear the talented musician as he belts out a full set of songs from his many albums as well as new material. “We could be here all night,” joked Smith as the crowd cheered approvingly. Smith will be joined on stage by an Australian drummer from Sydney, making the event extra special.